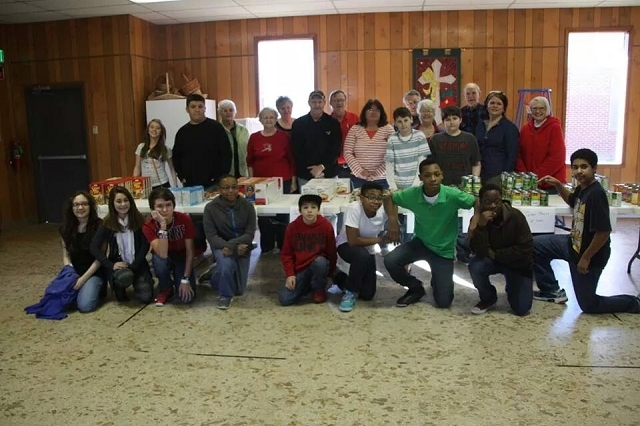 Members of Ms. Chaffin's English Class at Ringgold High School collaborated with the Community Food Pantry at First United Methodist Church in Ringgold in assembling 25 food baskets for underserved families in the community. 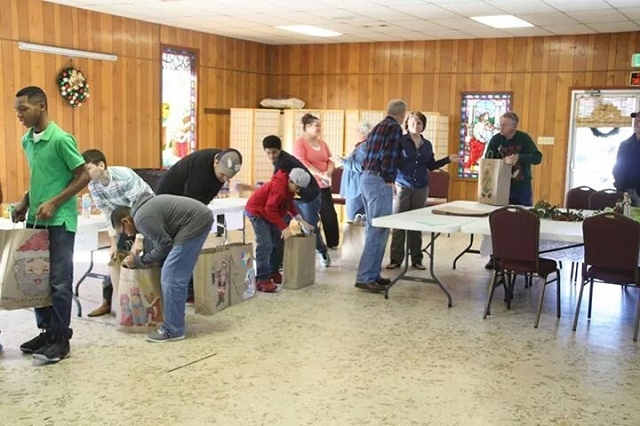 The Christmas basket assembly served as part of a 4-H Service Learning Project for the students, all of whom are scheduled to graduate in the year 2020. The group has entitled their project "20/20 Vision to End Hunger," said Elizabeth Lynn, Bienville Parish 4-H Agent with the LSU AgCenter. As part of the project, the students also collected more than 700 canned food items, half of which were donated to the food pantry at First UMC. The remaining cans were distributed to families at the high school. 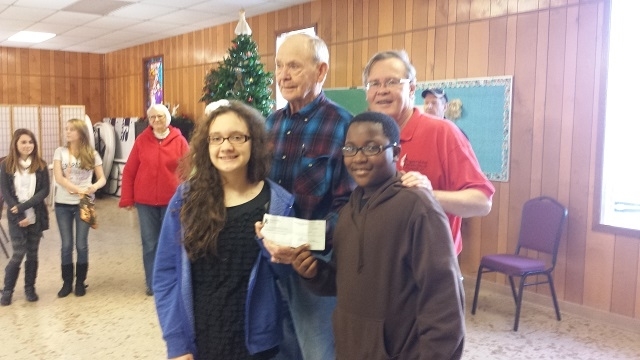 The students also presented a $375 check to the church to be used to purchase additional food for distribution in the community.